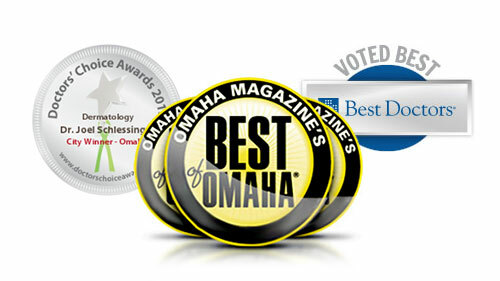 Voted one of America's Top Docs and Best Doctors in America, Dr. Schlessinger has also been consistently voted for more than 16 years as the best Omaha dermatologist and cosmetic surgeon. Dr. Schlessinger began practicing dermatology in 1992, and in 1993, opened Skin Specialists, P.C., which offers general dermatology services, specializing in treating acne, eczema, psoriasis and skin cancer, and cosmetic dermatology services, including BOTOX®, Dysport™, fillers and liposuction procedures. A staff of more than 70 skilled employees assists Dr. Schlessinger. The Advanced Skin Research Center opened in 1993 and is active in the advancement of skin care and skin health. The center has conducted more than 200 research studies investigating new medications and treatments for a wide range of skin conditions and cosmetic procedures. The Advanced Skin Research Center is one of the largest dermatologic research centers in the nation, performing more clinical research in dermatology than Creighton University and University of Nebraska combined. Dr. Schlessinger is board-certified by the American Board of Dermatology, American Board of Cosmetic Surgery, American Board of Facial Cosmetic Surgery and formerly board-certified by the American Board of Pediatrics. To practice medicine in the United States, a doctor must be licensed by their state. This license does not indicate a doctor's qualifications. To be board certified, a doctor must complete additional standards beyond basic licensing and actively keep pace with the latest advances in their specialty to maintain their board certification. The latest advances mean the best options for you and your health! He tweets, he posts, he gives advice. All in a day's work! 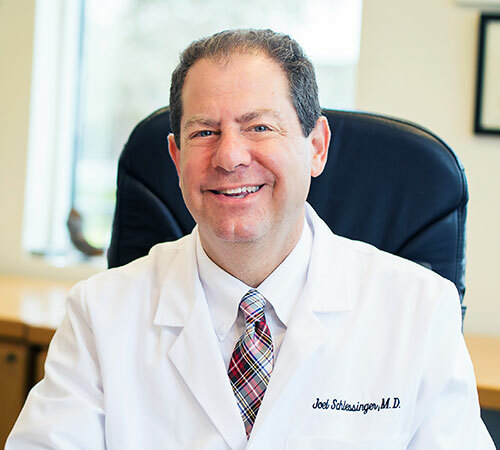 Connect with Dr. Joel Schlessinger to learn what you need to know about clinical trials, the newest and best skin care products and the latest cosmetic procedures.